Pests don’t just infest the inside of your home looking for spilled drinks and leftover crumbs like a mouse or an ant would. There are some pests that will do damage to your home from the comfort of the outside. For those with cedar or wood siding, make sure you know a little bit about these specific pests, as they have been known to do some damage to people’s homes. You’ll know you have a woodpecker problem the moment one lands on your home. These birds will drill into your home in search of food or to build their new “home.” They’ll also drum, which is simply them drilling holes as a way of marking their territory. Homeowners with cedar shakes may see woodpecker activity if they live in an area the birds inhabit. 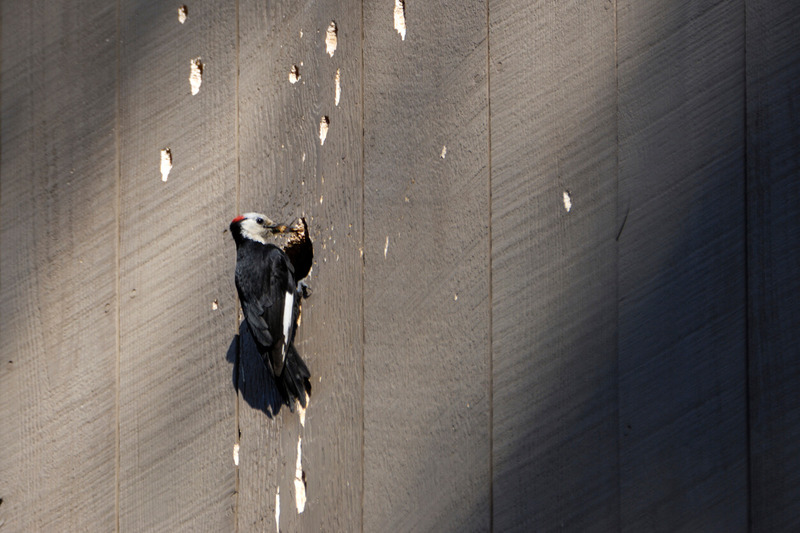 To keep woodpeckers from drilling or drumming into your cedar siding, place shiny objects around your home’s siding, as woodpeckers view this as unattractive in terms of where they want to drill. Also, look into woodpecker feeders and place them on the edge of your property away from your home. One of the most costly pest infestations you can have is a termite infestation. The reason termite infestations are so dreaded is that you never really know you have one until it’s too late. Termites eat wood from the inside out, so you’ll never see a group of them walking around your home like ants would. The warning signs you have to look for are discarded wings (from swarmers that search for new places to colonize in spring), mud tubes on nearby wood, and hollow-sounding wood when you give it a knock. It’s important that you have a termite prevention plan in place with your local pest management professionals. They can supply your home (and its siding) with the systems and defense it needs to keep termites away from your home. There are many different species of bees and wasps, however, the carpenter bee is the one you have to worry about most when it comes to the health of your home — and it’s siding. Carpenter bees will create tunnels inside of the wood in your home and use this as their nest. Therefore, your cedar siding could be at risk. Luckily, carpenter bees are decently easy to get rid of. All you have to do is use the right insecticide when dealing with their tunnels, and then plug them up with the proper caulking and sealant. 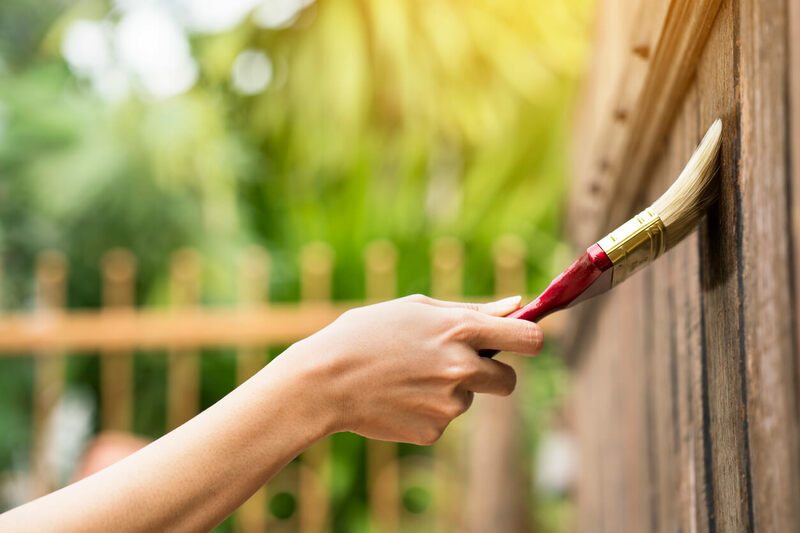 To learn more about cedar siding or if you’re interested in siding repair, don’t hesitate to give our siding pros here at Landmark Exteriors a call! Why Slate Roofs Are Always a Good Choice! When you look at some of the most beautiful buildings (whether they’re houses, museums, or grand cathedrals), many of them have slate roofs. Because slate is one of the BEST roofing materials you can use! And here are a few reasons to back up that sentiment. On the other hand, slate roofs can last over 100 years if the slate is properly installed and maintained! There are slate roofs that were installed toward the end of the 1800s that are still in use (with repairs and maintenance made throughout the years) that are still holding up incredibly well. In addition to lasting a very long time, slate roofs are also resistant to fires. This can help prevent your home from catching fire if there’s a house fire next door. The reason many folks don’t always go with slate as their roofing material of choice is because of the price. Yes, it is the most expensive roofing material available. However, with slate roofs being able to last roughly a century, you (or the future owners of your home) won’t have to replace the roof every 20 to 30 years as a normal homeowner would. By cutting down on anywhere from three to five new roof installations, this exponentially cuts down on the amount you’ll spend on your roof over a lifetime. Therefore, if you’re planning on staying in your home for an extended period of time (or are looking to up the resale value of your home), slate makes perfect sense. There’s a reason that some of the most beautiful buildings across the world are all built with slate roofs covering them. Yes, they are reliable, but they are also a thing of beauty with a timeless look. Some of the most beautiful buildings in the world include Oxford University, Rockefeller Mansion, Walt Disney Residence, and a LONG list of famous cathedrals — all of which have slate roofs. 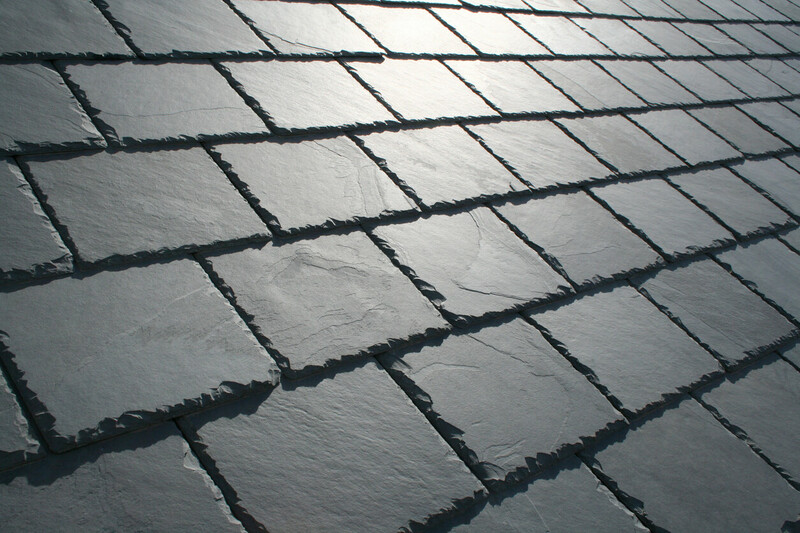 When choosing slate for your roof, you can choose the size, thickness, and color of the tiles you want. This will allow you to match it to your desired color of siding, the size of the house, and the overall look you’re going for. Choosing slate for your home’s roof might be one of the smartest decisions you’ll ever make. When it’s time for your roof to be replaced or repaired, feel free to give us a call and we’ll gladly provide you with a fair estimate! Author adminPosted on August 24, 2018 Categories UncategorizedLeave a comment on Why Slate Roofs Are Always a Good Choice! Why is My Attic So Hot? During the summer, temperatures in Connecticut can reach well past the 90s — sometimes even hitting the 100-degree mark. When temperatures are this hot and the sun is shining directly onto your roof, your attic will heat up to unsafe temperatures. Temperatures inside of the attic may reach up to 50 degrees hotter than the temperature outside. 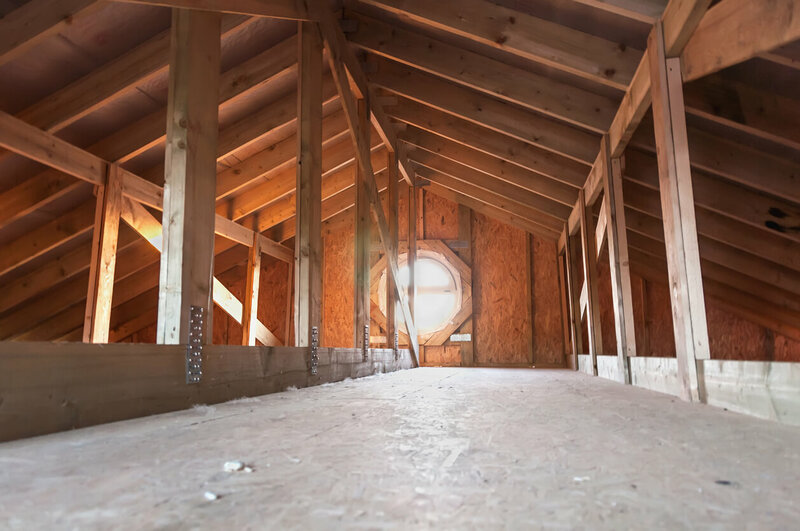 When your attic reaches dangerously hot temperatures, being unable to go into your attic isn’t the only thing that happens — serious problems can occur. Roofing materials (like asphalt) can literally overheat to the point of melting and deteriorating. This will result in a shorter lifespan of the roof and premature replacement. As shingles begin deteriorating further, your roof will become susceptible to roof leaks. Once water gets behind the shingles, water damage, rot, and mold will now further damage your home until these problems are addressed. Extreme temperatures like this are oftentimes no match for your home’s insulation. This heat will enter your home which will cause your cooling system to work harder to cool your home. As a result, you will have to deal with increased wear and tear on your cooling system and higher energy bills. In order to prevent your roof from becoming damaged by the effects of an overly hot attic, there are some steps you’ll need to take to prevent it from happening. Add a Ventilation System – Every attic should have ventilation AND an adequate amount of it (based on its size). An attic experiencing temperatures over 100 degrees means your ventilation system is either not doing its job or is non-existent. A professional roofer will be able to explain which ventilation system is best for your home (gable vents, soffit vents, ridge vents, etc. ), as well as providing you with an estimate of the optimal amount. Address the Insulation – Old insulation isn’t always able to do its job of keeping the temperatures between your home and the attic (and outside) separate. Ensure your home has the proper amount of insulation and that it’s of the right quality — preferably an R-factor of 19 or better. Insulation and a ventilation system go hand in hand, so be sure to address both. Install a Fan – Once you have a proper ventilation system with quality insulation, you may want to add an attic fan for good measure. Attic fans and other electric ventilation systems do a great job of removing hot air from attics. Pair one of these with a thermostat and this fan will turn on once temperatures within the attic begin increasing. When your attic is so hot that you can’t even go into it for a few seconds, that’s how you know something is wrong. Don’t deal with a hot attic and all of the negatives that come from one. Instead, make sure you give Landmark Exteriors a call. We’ll install all of the ventilation your roof needs, as well as an inspection of your current roof for any damage it may have previously sustained. Author adminPosted on August 15, 2018 Categories UncategorizedLeave a comment on Why is My Attic So Hot? When you’re a homeowner, it’s your responsibility to maintain your home. Unfortunately, many homeowners will only pay attention to parts of their home that are used often, instead of the more important parts. In the fall, cleaning your gutters should be on every homeowners’ checklist. Why is this on almost every list? Because clogged gutters can do a TON of damage to your home. But this should be on your checklist at least once per season. For example, clogged gutters can cause rainfall to pool up and overflow onto the edges of the roof. This can cause roof leaks, rot, and water damage to your roof and inside of the attic. Additionally, this pooled rainfall can also overflow to the ground below where flooding of your property can occur. This can do some damage to your lawn, as well as flooding your basement if the water finds its way down there. Oh, and in the summertime, clogged gutters filled with pockets of water along with wet, mulch-y debris will attract mosquitoes. As a homeowner, you have to worry about a lot of things in your home. However, the one thing that is often forgotten about is one of the most important — the roof! The roof protects your entire home from the elements of Mother Nature, we’d like to say it’s pretty important. Unfortunately, many people don’t spend the time to give it the love it rightfully deserves. All you need to do is give it a visual inspection once per season (and after extremely harsh storms) and call your local roofer to have it repaired when shingles, flashing, and other parts of your roof become damaged. The reason you want to pay attention to your roof is that if you don’t, you’ll end up having to replace it prematurely. And with roofs costing thousands of dollars to install, what’s a few minutes out of your day? Having a home surrounded by trees adds beauty to your property. Between the different colors throughout the year, the shade it provides, and the overall aesthetic of the property — the curb appeal of your home is definitely sky high when you have trees nearby. But like all things on your property or in your home, these trees need to be maintained. Luckily, trees are extremely low maintenance (unless you’re planting new ones). The only maintenance they’ll need is when their branches get too close to your home or if they become damaged. In this case, you can have these branches cut back or removed to ensure that they don’t come crashing into the side of your home during the next storm. If you’re a homeowner and you’re looking for a reliable roofer to inspect or repair your home’s roofing system, know that our professional roofers here at Landmark are eager and waiting for your call!